The RockIt Scientist is a very diverse music programme that features Progressive/ Hard/ Classic Rock, Blues, Brass Rock, Latin/ African Rock, Jazz and Metal music. As "non-commercial/ non-Top 40" music ranging from the mid sixties to the present day is featured, the intention is to cater for the more discerning music listener, with no age limits or restrictions imposed or implied. An open mind and a love of music is mandatory! The programme, which is broadcast on 1485am Radio Today, every Friday evening between 10pm and 1am, is presented by Leon Economides, who has worked with radio greats such as Tony Sanderson (Chuckle and Chat Show on Radio 5), Chris Prior (The Priority Feature on Radio 5), Phil Wright (The Dinosaur Days on 5fm), and Rafe Lavine (Rock Classics and The Great Unknowns on Radio 5, and the original RockIt Scientists on SAfm). Radio Today is also available nationwide on the DStv Audio Channel 70. The title track of his 1990 album. Phil Driscoll is a fantastic Christian trumpet player in the Bill Chase/Maynard Ferguson/Doc Severinsen mould. He's very well known and respected in jazz circles, and he's released quite a few albums to date. The music of the Mystic Moods Orchestra was produced, at various times, by Bob Corso, Jerry Winn, Don McGinnis, Brad Miller and Bob Todd. Similar in style to Barry White's Love Unlimited Orchestra, they started recording around the mid to late sixties, covering many movie themes and popular tunes such as "Born Free", "Scarborough Fair'', "Love The One You're With" and "Eleanor Rigby", in addition to some stunning original material. They were well known for their use of the sounds of nature, such as thunderstorms and running water, and many of their recordings were released on state of the art Mobile Fidelity Sound Lab recordings. They released in excess of twenty albums. 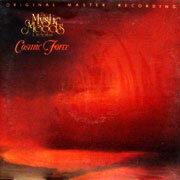 The track was taken from "Cosmic Force" (aka "Awakening"), in 1973. From "In a Metal Mood - No More Mr. Nice Guy", released in 1997. This great album features Pat Boone covering jazzed up versions of well known metal and rock tracks by bands such as Deep Purple, Jimi Hendrix, Metallica, Alice Cooper, Judas Priest, Dio, Led Zeppelin, Van Halen, and, in the case of the featured track, AC/DC. The idea of doing a metal covers album was decided upon by Pat Boone and keyboard player Dave Siebels in England in 1987. Hardly known for his forays into the rock world, never mind the metal world, Boone is far better known as a country, gospel and ballad singer. The big band treatment given to tracks such as "Smoke On The Water", "Panama" and a host of others has to be heard to be believed! Guests include Ritchie Blackmore, Marco Mendoza, Ronnie James Dio, Dweezil Zappa, Sheila E and Michael Thompson. Highly recommended for anyone onto big band jazz and metal! A fairly large US hit, taken from "Dead Winter Dead", in 1995, based on the book about three individuals lost in the labyrinth of the war in Bosnia, written by songwriter Paul O'Neill. Savatage are a US progressive metal band who evolved out of two bands, Avatar and Metropolis, in 1981. The band was formed in Florida by the Oliva brothers, Jon (vocals and keyboards) and Criss (guitar), together with Steve Wacholz on drums and Keith Collins on bass, although he was later replaced by Johnny Lee Middleton. They released their debut album, "Sirens", in 1985, and went on to become one of the best known metal bands in the US. Second guitarist Chris Caffery joined in time for 1990's "Gutter Ballet" album, which, together with "Streets: A Rock Opera", proved to be the band's best work to date. Zachary Stevens, ex-White Witch vocalist, joined Savatage, with Jon Oliva being moved to backing vocals. It has to be said that, although Jon Oliva was a very important and integral member of Savatage, especially in the songwriting, production and keyboard departments, Zachary Stevens was a far better vocalist. His first album with Savatage, 1993's "Edge of Thorns", was one of their best albums. Tragedy struck in 1993 when Criss Oliva was killed in a car crash near his home in Clearwater, Florida. in 1993. He was replaced by ex-Testament guitarist Alex Skolnick, who first appeared on "Handful of Rain" in 1994. Jeff Plate then replaced Steve Wacholz, Chris Caffery returned and was joined by guitarist, Al Pitrelli (ex-Widowmaker/Asia/Alice Cooper), and this line-up featured on "Dead Winter Dead". Later albums include "Ghost In The Ruins", the double "From The Gutter To The Stage", "Live in Japan", "The Wake of Magellan" and "Poets and Madmen", with the latter featuring Jon Oliva back on lead vocals. There's just one word that sums up this great band: class! If you enjoy quality music from a quality band, you need to have at least a few Savatage albums in your collection. Formed and led by Savatage's Paul O'Neill and Jon Oliva, the Trans-Siberian Orchestra have covered different themes on their various conceptual albums, from Christmas to Beethoven. The first (known) album was "Christmas Eve and Other Stories'', released in 1996, and featured Savatage musicians John Lee Middleton (bass), Jeff Plate (drums), Jon Oliva (keyboards and bass) and Al Pitrelli (guitars), together with Paul O'Neill (rhythm guitars) and Robert Kinkel (keyboards). "Beethoven's Last Night", released in 2000, was a stunning effort, produced by Paul O'Neill, and, once again, featuring the above musicians, this time augmented by another Savatage guitarist, Chris Caffery. The featured track, with its great jazzy groove, was taken from "The Christmas Attic", released in 1998. Well, it IS that time of year, isn't it?? Taken from "Christmas Time Again", released in 2000. Not quite what one would expect from Lynyrd Skynyrd, but there are some pretty good tracks on the album! The title track of their third album, released in 1972 on Vertigo Records. This was also the last album to feature vocalist Martin Griffiths, who was later replaced by ex-Writing On The Wall member, Linnie Patterson. One of their best known albums, with some great guitar work from founding member Ricky Gardiner. This album, which contains their excellent version of "MacArthur Park", also featured drummer Ray Wilson, keyboard player Alan Park and bassist Gordon Sellar. A fourth album, "Get Your Dog Off Me", which featured a brilliant version of Mason Williams' "Classical Gas", was released the following year. Formed in Scotland in 1970, Beggars Opera released two previous albums, both also for the Vertigo label, "Act One" in 1970 and "Waters of Change" in 1971 (both with Marshall Erskine on bass). Mellotron player and vocalist Virginia Scott, who would later marry Ricky Gardiner, appeared on ''Waters of Change" and also on "Get Your Dog Off Me", which featured drummer Colin Fairley, of String Driven Thing fame. Three further albums "Sagittary", "Beggars Can't Be Choosers" (these two, which featured Ricky Gardiner and Virginia Scott, together with drummers Clem Cattini and Mike Travis, and vocalist Pete Scott, were combined into one CD and released as ''Act 3"), and ''Lifeline", the latter being a version of the band put together by bassist Gordon Sellar in 1980, were released (the first two on the rare German Jupiter Records label and the latter on Vertigo Records). A final Beggars Opera album, "The Final Curtain", which featured Gordon Neville (of Alan Bown and Rick Wakeman fame) on vocals, Colin Pattenden (Manfred Mann's Earthband) on bass, John Hollywood on drums and Lyndsay Bridgewater on keyboards, was released in 1996. Ricky Gardiner and Virginia Scott continued to record well into the 90's (released a great track called "Auschwitz"), Alan Park joined Tiger and The Bliss Band before becoming Cliff Richards' musical director. Martin Griffiths has been fronting a couple of bands, singing jazz standards (his son, Phillip, formed brilliant prog outfit Alias Eye. Both Martin and Phillip sing on one track on the debut album - the likeness is uncanny!). If you're a regular RockIt Scientist (or Dinosaur Days) listener, you'll be well aware of the fondness held for this legendary band! From "Lucky Golden Stripes and Starpose", in 1976. Wigwam were one of Finland's best and best known bands, having been formed in Helsinki in 1969 by keyboard player Jukka Gustafson and English vocalist Jim Pembroke, who'd lived in Finland since 1965 and who'd previously been in Blues Section. They released their debut album in 1969 ("Hard 'n Horny") on the Love Record label and they became quite popular in their home country. The other musicians were Ronnie Osterberg on drums, Nikke Nikamo on guitar and Mats Hulden on bass. Similar in style to early Traffic, they went on to release an number of great albums of varying styles such as ''Tombstone Valentine" (1970), "Fairyport" (1971), "Being" (1973), and a very good live album "Live From The Twilight Zone" (1975). The featured album was one of three albums to be released in the UK, on the Virgin label (the other two being "Nuclear Nightclub" in 1975, and "Rumours On The Rebound", in 1979.) Later musicians included Pekka Pohjola (who, as Finland's leading bass player, also recorded for Virgin as a soloist), guitarist Pekka Rechardt and bass guitarist Mans Groundstroem. The band folded in the late 70's (after 1978's "Being" album), and reformed in the 90's, releasing "Light Ages" as their comeback album in 1993. A double live album, ''Wigwam Plays Wigwam", was released in 2001, with Groundstroem, Rechardt, Pembroke, Esa Kotilainen (ex-Jukka Tolonen/Tasavallan Presidentti) on keyboards and Jari Kettunen on drums. A double rarities album, ''Fresh Garbage - Rarities 1969 - 1977"), was released in 2000. This great London-based band were previously featured on The RockIt Scientist on September 14th, so you can read up on them on that week's playlist. The track was taken from "Epic Forest", their third album, released in 1972. Initially starting out as a "guitar-less" band, much in the same vein as Aardvark and Greenslade, with the emphasis on keyboards, the band changed their style somewhat with the addition of guitarist Andy Curtis, who joined founding members Dave Kaffinetti (keyboards) and Steve Gould (bass/vocals). The other members on the album were drummer Fred Kelly, who replaced Mark Ashton, and bass player Paul Karas. This was the first release to feature guitar, and it was undoubtedly one of the band's best albums. The follow-up album, "Somebody's Watching (1973), was just as good. The band existed for about eight years and released about seven albums. This Mannheim based German prog outfit were formed in the late 60's out of a group of pop musicians. They had links with bands such as 2066 and Then (Geff Harrison - vocals) and Night Sun. The initial line-up which appeared on the featured self-titled debut album (1971) was Torsten Herzog on bass and vocals, Werner Stephan on lead vocals and acoustic guitar, Kalle Weber on drums, Willie Wagner on guitars and vocals and Frieder Schmitt on keyboards and vocals. Two further albums "No.2" and "Kin Ping Meh 3" were released in 1972 and 1973 before Geff Harrison joined the band in 1974, in time for their "Vitrues and Sins" album that year. He transformed them into a very good hard rock band, although success eluded them. They released three further albums, including the very good "Concrete" album in 1975 before folding in the late 70's. The German Second Battle Record label released a 4 CD box set called "Fairy Tales & Cryptic Chapters" in the 90's. Kin Ping Meh were one of the more important German prog/hard rock bands. From "Illusion" in 1978. (Also released as "Madonna Blue"). The core of this band were the original Renaissance, which was formed by ex-Yardbirds Keith Relf (guitar/vocals/harmonica) and Jim McCarty (drums), together with Loui Cennamo (bass), John Hawken (keyboards), and Jane Relf (Keith's sister, on vocals). When the Renaissance line-up changed completely in 1972, (with new members Annie Haslam, John Tout, Michael Dunford, Terence Sullivan and Jon Camp), the original members formed Illusion and recorded their self-titled debut album for Island Records in 1972. The album never got beyond the test pressing stage, and it was only released in Germany prior to its reissue in the early 90's. Illusion released ''Out Of The Mist" in 1977, with John Knightsbridge on guitar and Eddie McNeil on drums, with the featured album following close behind. Tracks for a mooted third album were recorded in 1979, and these finally saw the light of day as "Enchanted Caress", which was released in 1989. Jim McCarty and Loui Cennamo also worked together in Stairway and in the mighty Armageddon (see entry later on in this week's playlist), and John Knightsbridge formed Ruthless Blues. From "That Album", in 2004. A collaborative effort between very talented South African singer Alicia Woolf and instrumentalist John Shaw, who runs the Music Business Academy. Her vocal style in similar to that of Enya and Katie Melua, with a touch of Mostly Autumn's Heather Findlay and the aforementioned Jane Relf. In keeping with the good old tried and tested formula of showcasing only certain types of South African music, most of the major local radio stations have chosen to ignore this talent because "it doesn't fit their format". Time to change your "tune", guys - that useless excuse is getting a bit long in the tooth now. It would be such a welcome change if someone who pulls the stings had the balls to walk outside the lines and did the right thing by supporting this and other great, original South African music! The album is available via their website www.misttree.co.za. From "Ashes Are Burning" in 1973, the second album to feature vocalist Annie Haslam, who replaced Jane Relf in 1972. Annie Haslam is acclaimed as one of the finest female singers in the world, and she's recorded quite a few solo albums. She was one of the featured vocalists in the Classic Rock series of albums that came out in the 70's. This very album was featured on The RockIt Scientist on 28 September 2005, so you can read the write-up on that week's playlist. "Carpet Of The Sun" was one of a few hits that Renaissance had (the other well known track was "Northern Lights"). From their self-titled debut album, released in 1996. Quidam are one of Poland's best prog bands. This album featured the beautiful Emila Derkowska on vocals. She's since left the band and has been replaced by a male singer. The band released a new album about six months ago. Refer to the Quidam write-up on 31 August 2005. From ''Moonmadness" in 1976, their 4th album. Featuring Andy Latimer (guitars), Peter Bardens (keyboards), Andy Ward (drums) and Doug Ferguson (bass), who was replaced by Caravan's Richard Sinclair after this album. Regular listeners of the previous RockIt Scientist and The Dinosaur Days shows will know that Camel have been featured for many years, and will continue to be featured wherever possible. The very first RockIt Scientist show on 1485am Radio Today began with "Six Ate", from the band's debut album. This is just another one of the many fantastic tracks penned by Andy Latimer and Peter Bardens, who sadly passed away on 22 January 2002. A supergroup of sorts, albeit sadly very short-lived. The band was formed by bassist Loui Cennamo of Renaissance/Illusion fame, Bobby Caldwell on drums, from Johnny Winter and Captain Beyond, Martin Pugh, guitar, from Steamhammer and Keith Relf from The Yardbirds and Renaissance (later to form Illusion, although he died in 1976) on vocals and harp. Their sole, self-titled album, which was released on A & M Records, came out in 1975, and it's considered to be one of the better hard rock albums of the seventies. The featured track had its roots in Steamhammer (see below). Vocalist Jeff Fenholt was drafted in for an intended second album. A few tracks were recorded, but A & M Records lost interest in the band and they finally split up. Fenholt also feature with Black Sabbath, although he never recorded any albums with them. He later appeared with Joshua. From "Mountains" in 1970, the third album from this great UK blues/rock outfit, who were formed by guitarists Martin Pugh and Michael Quittenton in the late 60's, together with Steve Davy on bass & vocals, Kieran White on guitar, harmonica & vocals and Mike Rushton on drums. They started out as a blues/rock band in Worthing, Sussex and they released their eponymous album (also released as "Reflection"), in 1968. "Junior's Wailing", from the debut album, was a minor hit for them, and it was covered by Status Quo. Martin Pugh and Michael Quittenton assisted Rod Stewart on his debut album "An Old Raincoat Won't Ever Let You Down" in 1970, with Quittenton electing to stay with Stewart, co-writing the million selling "Maggie May". Ex-Tangerine Dream woodwind player/vocalist Steve Jolliffe joined in 1969 and he appeared on "Steamhammer Mk 2" that year, as did new drummer Mick Bradley (who died from leukemia in 1972). This was a decidedly more jazzy album than the bluesy debut. "Mountains" found Steamhammer moving in a heavy progressive/blues direction, making it undoubtedly their finest album, with some fantastic guitar work from Martin Pugh. A fourth album, ''Speech", which was only released in Germany (on the Brain label), in 1972, was a taste of the fantastic brand of hard, psych rock that Cennamo and Pugh would take with them when they formed Armageddon a few years later. Kieran White, who has also apparently since passed away, released a solo album, "Open Door", on the Gull Record label in 1975. Another German-only release, "This is...Steamhammer", was also released on Brain Records in the early 70's. Martin Pugh has since featured with a very promising US outfit called 7th Order, with vocalist/guitarist Daniel Jones, guitarist Geoff Thorpe, bassist Benjamin Hadley and drummer Adam Gross. From "Gravedigger" in 1971. Like Nektar, Diabolus and Message, they were actually a British band who were often classified as a Krautrock band by virtue of the fact that they were based in Germany and toured the country prolifically. The members were Colin Orr on guitars, Keith Bonthrone, Derek Hyett, Bruno Lord, Mick Peberdy and Roy Yates (other than Colin Orr, it's a mystery as to who played what!). Their album is a much sought-after hard rock classic by many record collectors. They split after its release, but guitarist Colin Orr continued recording under the Janus name in the 90's, although the style had changed somewhat (more chant/choral/classically orientated). Other Janus albums worthwhile checking out are "Innocence", "Freefall", "Journey", "Agnus Dei 2000", "Credo 3", "Out Of Time" and "Sea of Sighs". From "How The West Was Won", featuring "The 2nd Chapter of Acts" and "A Band Called David", a very hard-to-find double CD, recorded in 1977 and released in 1991. Phil Keaggy is a man blessed with the most amazing talent. A highly respected Christian guitarist/vocalist, he featured with Glass Harp in the early 70's, recording three albums with Dan Pecchio (bass) and John Sferra (drums/vocals). Apart from being an acclaimed soloist, having recorded numerous solo albums, he's also featured with keyboard player Michael Omartian and drummer Joe Vitale, amongst others. The interplay between Keaggy and keyboard player Richard Souther on this fantastic number is mind-boggling. It's an incredible guitar-dominant track, with Keaggy seemingly effortlessly flowing through some of the most complex riffs you've ever heard. Herb Melton is on bass, Gene Gunnels is on drums and Anne Herring is on piano.